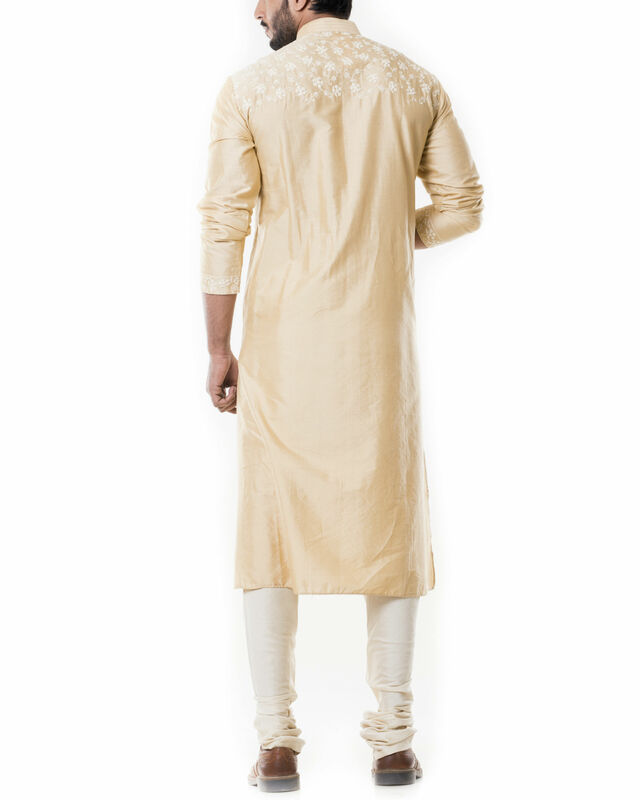 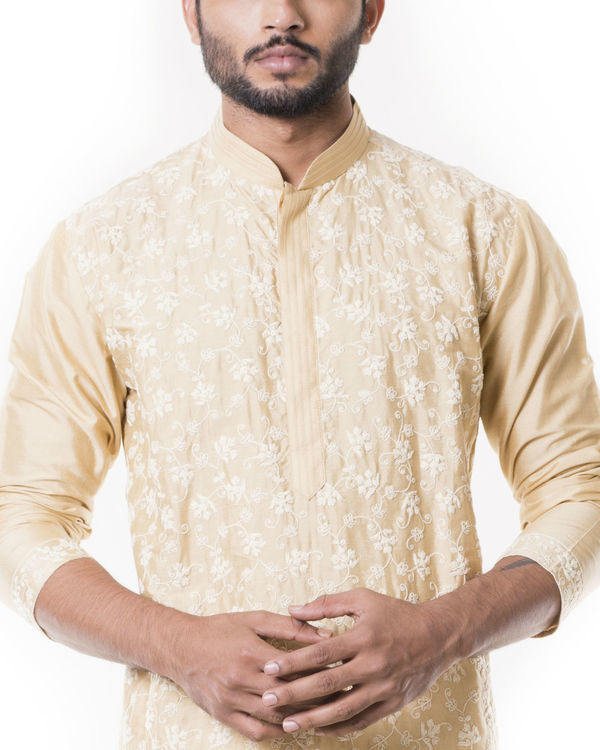 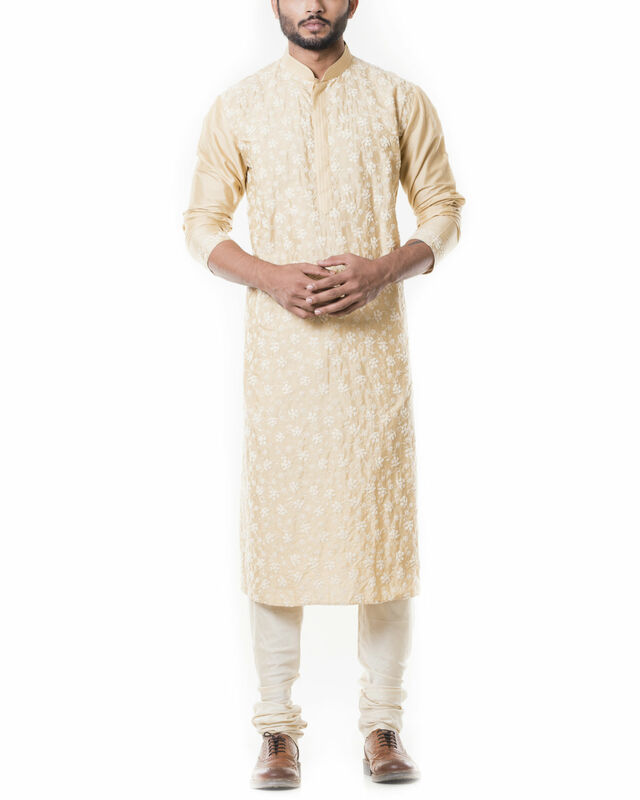 Featuring a beige kurta set with full dori embroidery.  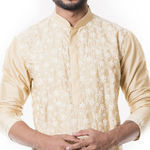 The kurta is made of silk and churidar is of cotton silk. 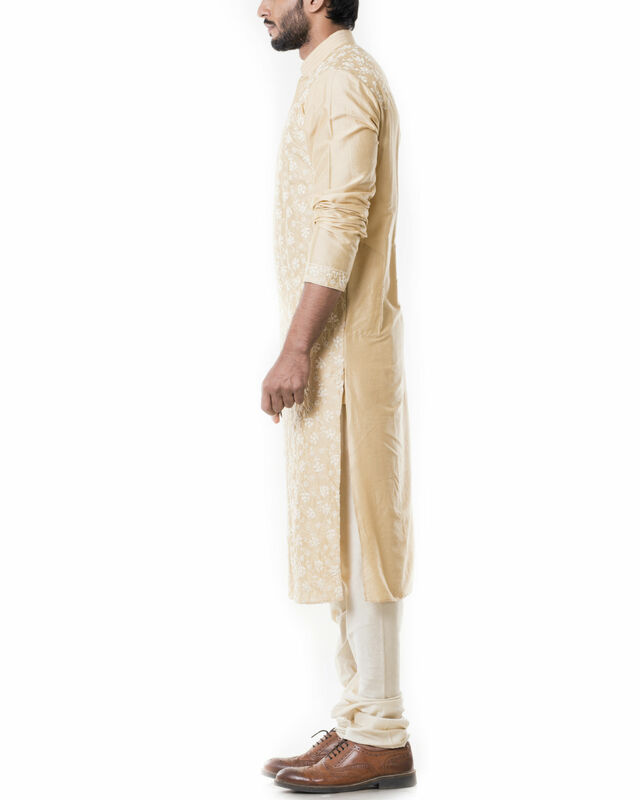 The intricate embroidery makes it the perfect outfit for a traditional do.